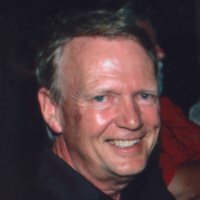 Malcolm MacTaggart received his undergrad degree in Business at York University and his MBA at the Ivey School of Business at Western University. He also holds the CPA, CMA and Chartered Investment Manager designations. He was General Manager of Microsoft during its startup years in Canada. In his last corporate role, he grew a small Canadian technology firm into an international business operating in 17 countries and sold it to a European private-equity group before retiring from corporate life in 2006. Since then, he has been involved in 11 different startups and held senior advisory roles at VentureLab and the Business Advisory Centre in Durham in which he has worked with over a hundred owner-managed businesses. He teaches entrepreneurship and management courses in the Faculty of Business and Information Technology. As a serial entrepreneur and angel investor, he founded the Spark Angel Investment Network in 2012 and continues to serve as its Executive Director. The Spark Angels are Durham and Northumberland’s source of private equity capital for innovative startups and high potential businesses— with a particular focus on University of Ontario Institute of Technology opportunities.